Uber to double down on safety and roll out Safety Toolkit for riders and drivers across 38 countries from Europe to Pakistan. Features to include Safety Center, Trusted Contacts, Share Trip, emergency assistance button and caller anonymization. Uber today announced the new Safety Toolkit which, over the next few weeks, will be rolled out to the millions of riders, drivers and couriers using the app across Europe, Middle East, Africa, and Pakistan. The toolkit will introduce new innovative features which aim to raise the bar on safety and increase transparency and accountability for all users. Emergency button – With the push of a button in the app, riders and drivers/couriers can connect directly to local police when needed. Trusted Contacts – Riders can more easily share their trip with up to five contacts and customize their trip sharing preferences. Safety Centre – A new app-housed safety information hub where users can find information on insurance, our community guidelines, safety tips built with law enforcement and more. “There’s nothing more critical than the safety of the people we serve. With about 15 million trips happening on the Uber app each day, we are putting safety at the heart of everything we do. That means working to help improve safety and developing innovative products that aim to increase transparency and accountability for all users on the app. 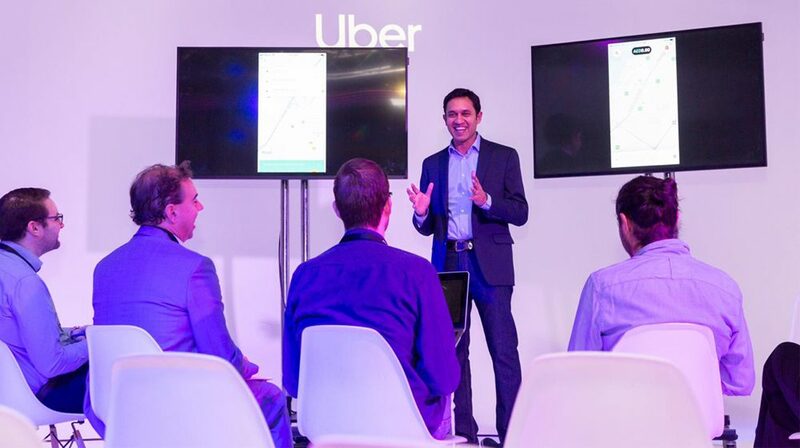 We’re proud to begin rolling out this new safety toolkit with the aim to double down on safety in our app and helping all users stay safe and connected throughout their journeys,” says Sachin Kansal, Uber’s Global Head of Safety Product. Uber’s CEO Dara Khosrowshahi has made safety a top priority for 2018. Since joining the company, he has introduced a number of changes including limits on the amount of time a driver spends on trip and driver insurance. In Pakistan, Uber organized safety sessions with law enforcement agencies for partner-drivers. Uber Pakistan teamed up with Kashf Foundation in a bid to educate driver partners in Pakistan on how to refrain from inappropriate behavior to recognize and prevent unsuitable actions, titled ‘Dignity at Work’, this training is a part of Uber’s global initiative to help prevent harassment of any kind. Driving hours limit has been introduced to make roads safer for both drivers and riders. Uber also announced an insurance product for all driver-partners called ‘Injury Protection’. Key to the product is the ability for drivers to be protected from the financial cost of injury, including medical expenses and lost earning opportunities up to certain limits if an accident takes place while driving on the Uber app. To encourage the use of helmets for riders and drivers on uberMOTO, Uber also conducted the ‘Ride for Safety’ events across Pakistan.